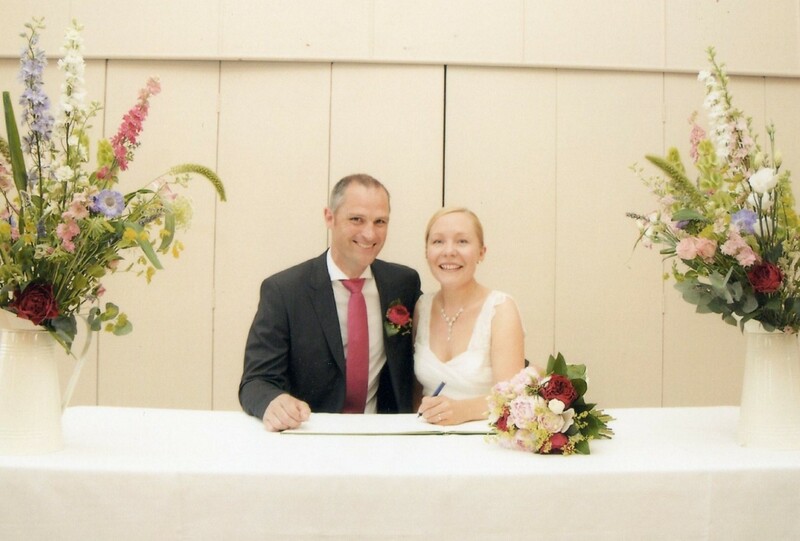 Helen and Steve were married at Toft Golf Club and had an additional marquee. The theme was natural, laid back and fun and the venue was decorated with bold and colourful pompoms. 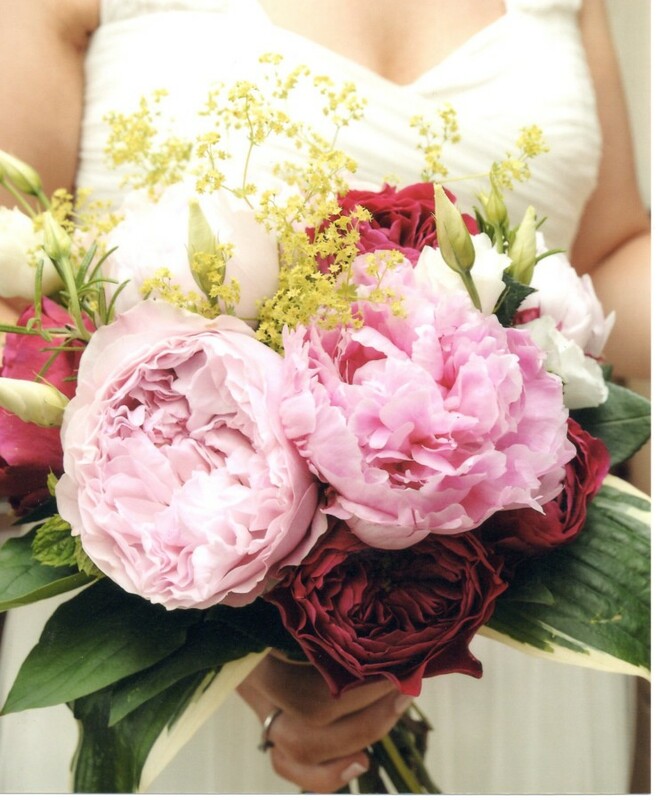 Helen and Steve chose David Austin roses in deep raspberry pink and cream peonies. The bride wore cream and carried a hand tied bouquet and two teenage bridesmaids wore cobalt blue dresses and raspberry pink wrist corsages, while the young bridesmaids carried mixed poises. 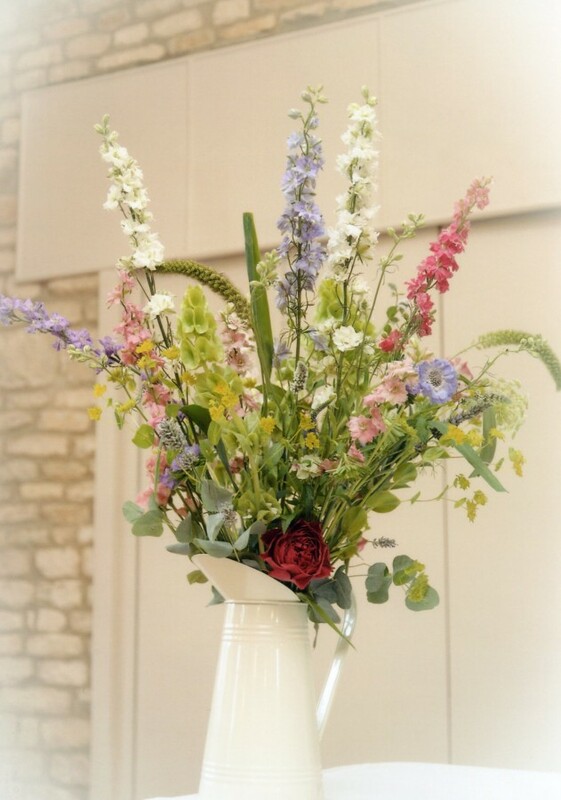 The ceremony room and venue were decorated with floral arrangements in large vintage cream jugs moved from ceremony room to marquee. I chose a deep raspberry pink and cobalt blue as the colour scheme. I have a two year old and so I wanted a relaxed, country fete type of wedding. A friend recommended Rebecca and I’m so pleased she did. I sent Rebecca an email with my ideas for my wedding and a photo of a bouquet that I liked and then we had a meeting, she had interpreted my ideas really well, she knew spot on what I wanted! Once I knew Rebecca understood what I wanted I didn’t have to worry about the flowers, I trusted her to get it right. It was the hottest day of the year so the only problem we had was keeping the flowers fresh but Toft let us keep the flowers in the cellar until we needed them. They looked fantastic and we were able to reuse the flowers from the venue room in the marquee which helped to keep the cost down. We had old fashioned cream metal jugs that could be easily moved around. 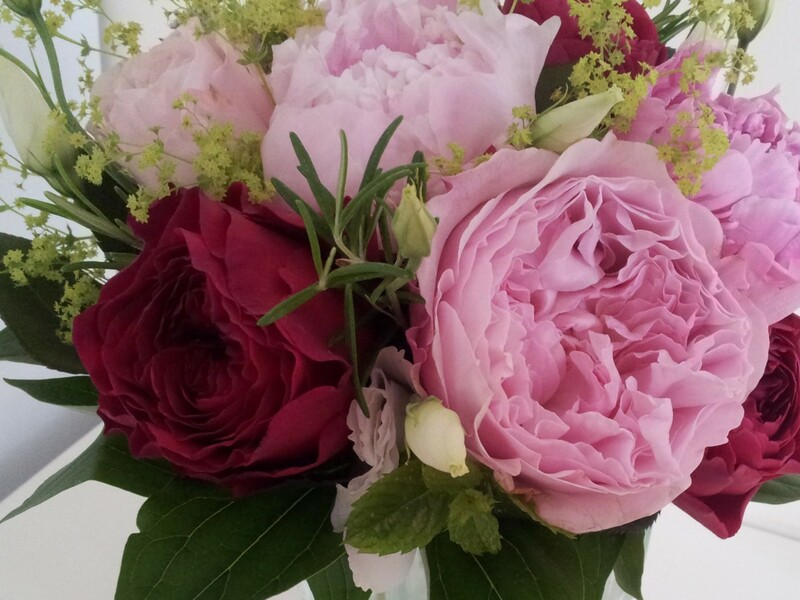 We had lots of good comments from guests and even the men noticed the flowers! 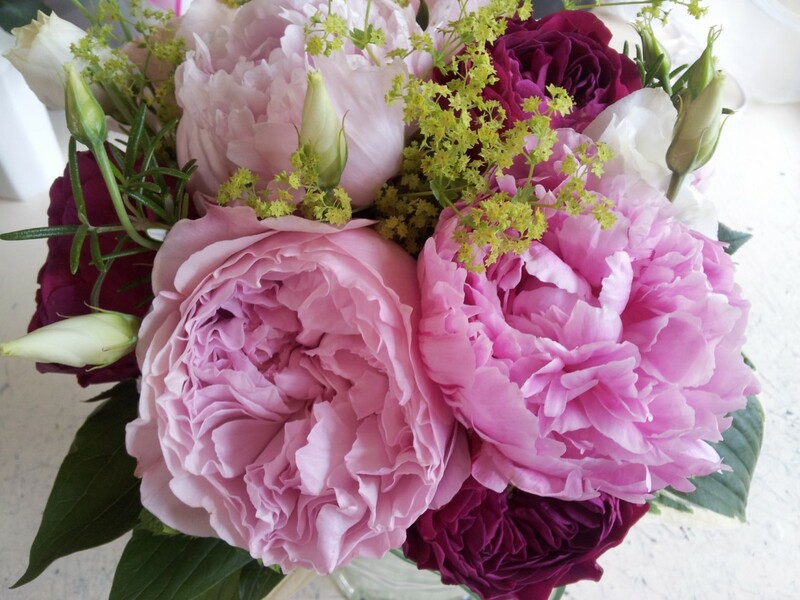 I would 100 per cent recommend Rebecca to my friends and definitely would use Pollen Designs for all my flower needs now, bouquet for a friend etc. I felt very conformable with Rebecca and she communicated with me as much as she needed to but didn’t bombard me with phone calls. I just felt that Rebecca knew what I wanted and that she would do a really good job and she did.